That’s what we do to the truth, don’t we? We spin it. Next time you’re at a park, just sit back and observe a couple of kids for a while. Not so long ago I saw two little boys playing on a slide. It was a parallel slide: two slides running parallel to each other. And so you’d think that here was the perfect opportunity for a race. Instead, however, one of the boys was attempting to go down the slide correctly, to slide down from the top to the bottom feet first; but the other boy was standing on the slide, attempting to block the first boy’s way. A sort of cruel game developed where the boy attempting to go down the slide would pretend to begin a descent; and the second boy would predictably jump over to that slide and block his way. The first boy would then quickly scurry to the other slide, the parallel one, trying to beat the other boy’s attempts at blocking him. This pretend-jump-switch-jump dance carried on for a bit until, at last, probably frustrated, the top boy let go for a bona fide descent. On the way down, as fate would have it, the sliding boy collided with the blocking boy, who, probably off balance, promptly fell flat on his face, connecting his lower lip squarely with the surface of the slide. Some people, as a matter of fact, put their spin on things really well—so well that we end up paying them full-time to do so! We’ve given these people a name. Media professionals who are really good at doing this—at putting their own spin on the truth (usually to favor one political party over another, by the way)—are called spin doctors. Anyway, this is how spin often works. Someone, or some group of someones, wants to communicate an opinion. But they don’t start there—with their opinion. Rather, they start with a truth, a premise; and they build up to their opinion, their conclusion, not through logic but through spin: the manipulation of that truth. So, spin is the backdrop to what’s going on in today’s Gospel. Jesus has set out from his home town and begun his ministry. He’s called his disciples, he’s been teaching, preaching, healing, and casting out demons. And word about him has spread. Imagine the excitement some of his hometown friends and family must have felt when word of his successful ministry first reached their ears. Yes! One of our own has made a success of himself! Jesus has put Nazareth on the map! Nevertheless, by the time today’s story takes place, whatever excitement was once felt has now dissipated. For spin has taken effect. How could Jesus, the carpenter, the son of Mary, become a success? Why, I remember when he was just a little boy, playing hide-and-seek with the other kids at dusk. He once made a few chairs and a table for me, sure; and they’re good enough quality in their own right. I still have them in my house in fact. But he’s a carpenter, for crying out loud! He’s not a synagogue leader, a teacher, or a miracle worker. Pshaw! How could he be? How could anything good come out of Nazareth? And there it is! Jesus has told Pilate his side of the story. And it’s nothing at all like the crowd’s spin. Jesus is not an enemy of the state; he is not a threat to Caesar. Here’s the trouble, then, with spin. The spinner’s mind is already made up before he ever begins spinning! Regardless of the initial truth upon which the spin is based—the premise—the spinner knows where he wants his story to go—his conclusion—ahead of time. This is, simply stated, bias. Or, another word for it, prejudice: pre-judging; making a judgment ahead of time. The crowd, who shouts, Crucify him! Crucify him! For Pilate’s mind is already made up ahead of time. He’s biased. He’s prejudiced. Now, the question for us to consider today—with the patriotic sounds of fireworks still ringing in our ears—is, are we too much like Pilate? And by us I mean you and me as individuals, sure. 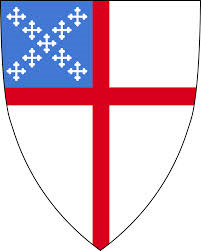 But I also mean the St. Paul’s us, this local body; and the Episcopal Church us, the national church body to which we belong; and the broader Christian and American cultures us. Are all of us too much like Pilate? Are our minds already made up? The Supreme Court has made historic rulings on healthcare, marriage, and the way we perform executions. The Episcopal Church’s General Convention has made a significant decision or two as well. Whatever the issue—whether it be gay marriage, healthcare reform, or issues surrounding human dignity and the sanctity of life—we are hearing a lot of spin right now—more than usual. We are being persuaded, even challenged, to pick sides. And with all this buzz clamoring for our loyalties, we should ask ourselves: Are our minds already made up about which way to go? Like Pilate, is our logical reasoning clouded by an emotional crowd—by partisan loyalties? Whenever we come to something with our minds already made up—whether a political issue, an individual person, a class of people, whatever; whenever we only give the appearance of listening (and not actually hearing); whenever we embrace an agenda or worldview whose goal is a political ideal; whenever we place loyalties in a political party; whenever we invest in social norms; whenever we believe in our own preferences—we run the risk of a compromised faith—of unbelief—in Christ. And, as we learned from our Gospel today, unbelief renders Jesus ineffective. So, again, I ask: Are we too much like Pilate? And, for the record, I’m asking this question honestly. In others words, I don’t know the answer. In the Episcopal Church’s rulings this week, maybe we are being like Pilate, with our minds already made up ahead of time, bent on a certain political agenda. This is certainly what a lot of conservative Christian groups are saying about the Episcopal Church. But, on the other hand, maybe we’re not being like Pilate at all but are truly trying to reconcile what a Gospel of love means for our day and age, and how that Gospel should play out. Maybe it’s actually the groups accusing us of heresy who are being like Pilate here. Maybe it’s their minds already made up ahead of time. I don’t know. This question—are we like Pilate?—is something for us to consider as individuals, as a local church body, as a national church, and as Christians; and as a culture. But let’s return to the scriptures we looked at today. Having our minds made up ahead of time stymies the truth and produces unbelief. The flipside teaches us that not knowing is a good place to be. Jesus might in fact be calling us to rest in the tension of uncertainty for a while, maybe even a long while. It also teaches that when we come to a place of surrender, of saying, I don’t know all the answers; I’m not in a position of authority here, but Jesus does and Jesus is—when we come to this point of surrender, our faith is increased. For here we trust in Jesus—not the spin doctors—to provide a way forward. Lord, help us rest in the tension of uncertainty. Amen.